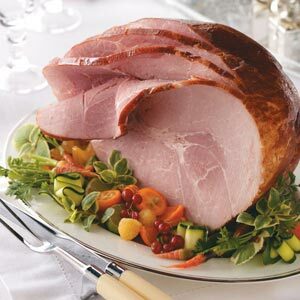 This Cider Glazed Honey Baked Ham is created by basting the ham with an apple cider, brown sugar, and honey and mustard mixture with a bit of liquid smoke as it bakes. 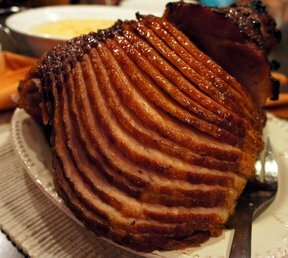 The ham you cook will turn out fabulous. It is a favorite restaurant recipe. People often ask me where I get my recipes. The answer is simple; anywhere I can find them - cookbooks, magazines and those that my customers and friends and relatives share. I look them over and either try them as written or tweak them (alter them) a little first and then give them a try. If the restaurant guests like the results, they become real restaurant recipes. If the restaurant guests love the result of a recipe and order the meal a second and third time, the recipe becomes a favorite restaurant recipe. If a particular recipe continues to sell well, it makes the menu! Here is another favorite and restaurant recipe. 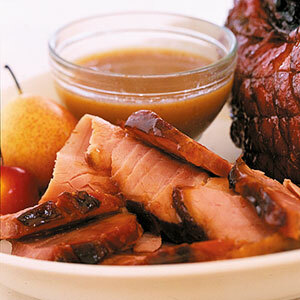 You can also prepare your own delicious mustard sauce to serve with your Baked Ham. Just click on Mustard Sauce Recipe. Just do it! Make it! You’ll be pleased! 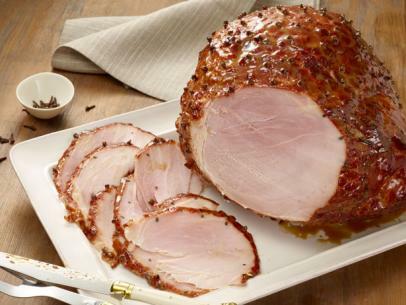 Enjoy your Glazed Baked Ham and the company of those you share it with! Did you know? The Hormel Company sold the first canned ham in 1926.